Natalie Dempsey, 21, was killed on Christmas morning while responding to a call in Hamilton Township, New Jersey. A 21-year-old firefighter was killed on Christmas morning while responding to an emergency call in Hamilton Township, New Jersey. Natalie Dempsey was a volunteer firefighter and the vice president of Mizpah Volunteer Fire Co. in Mercer County. The fire company announced her death on its Facebook page on Tuesday morning. According to police, the 21-year-old from Mays Landing was responding to a call for a fire around 6 a.m.. Police said she was driving a 2001 Honda Accord when she lost control of the car, drove off the roadway and hit a guard rail. Dempsey died at the scene, NJ.com reported, and he was the only passenger in the car. First responders called to the crash only realized it was Dempsey after they saw her car at the scene. "It 'smashed my heart out,'" Fire Chief Jay Davenport told NJ.com. "Please keep her family in your prayers. We will keep you all updated on any funeral arrangements. This will be a funeral with full honors due to it being a line of duty passing," the fire company posted on Facebook. 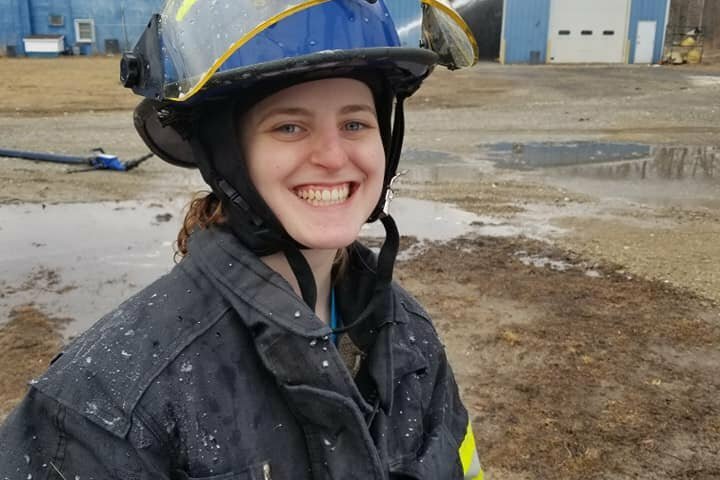 Mizpah's sister organization, the Mays Landing Fire Department, posted a statement on Facebook calling Dempsey a "vibrant" firefighter who "always had a smile on her face." NJ.com reported Dempsey had been volunteering at the fire company for the past three years and had attended the police academy over the summer in hopes of becoming a police officer.